We left our camping spot in the Alabama Hills by 7am to get an early start before traffic and the heat of the day. Our first stop though was the Eastern Sierra Interagency Visitor Center in Lone Pine so we could confirm any road closures and pick up any maps they would offer us. Since this is an adventure we don’t always know what we want to do or what order we want to do them in. All I knew at that moment was that our main objective was the Geologists’ Cabin and we had a long, difficult drive before we got there. 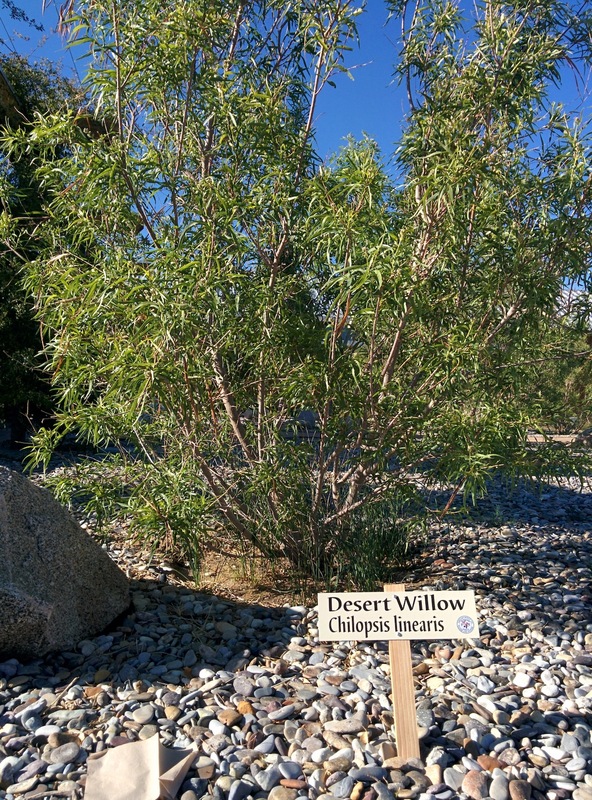 Outside the center there were signs indicating what particular species of plants were and we found a Desert Willow. Tree Named After My Dog. Not Really. Once we left the ESIVC we began our approach to the Park on Highway 136. About five miles after you pass the town of Keeler Hwy 136 becomes Highway 190. About 15 minutes later you formally enter the Park. 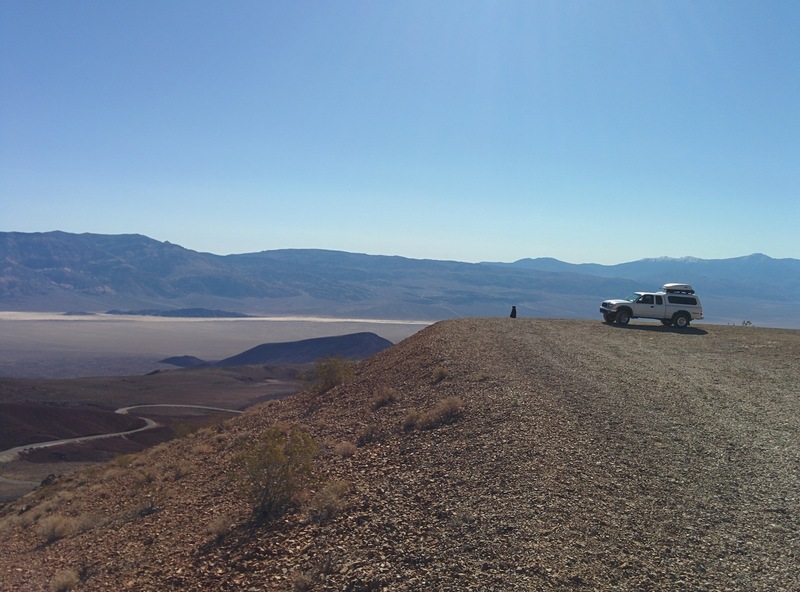 Once you get to the top of the ridge you begin your downward path, twisting and turning towards Panamint Springs on a nice 2-lane road with breath-taking glimpses of the valley floor around almost every turn. 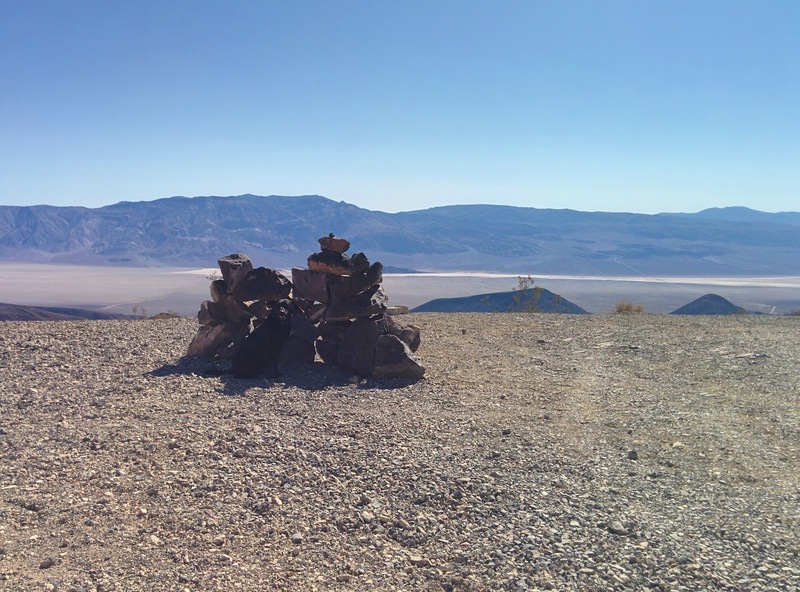 Before you reach Panamint Springs though you come across a turnout with a vault toilet and usually some other cars. We have no idea what this is but…Adventure, so let’s go take a look. 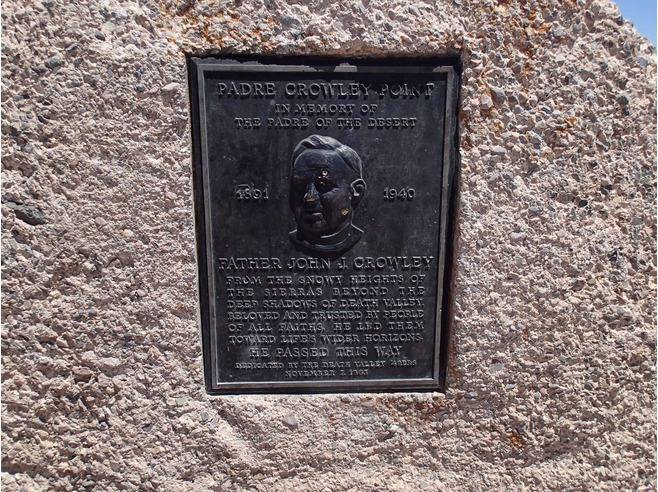 This overlook is named after Father John J. Crowley, Padre of the desert 1891 – 1940. Among many of his good works over a lifetime of caring for the people of Owens Valley in the hard times after Los Angeles essentially stole the valley’s water he was actually the first priest to ever celebrate mass on top of Mt. Whitney. Past the cairn to the right was the last little bit of road which ended in a turn around looking out over a vast plain of sand and heat. We took the obligatory beauty shot of black dog and white Tacoma first. 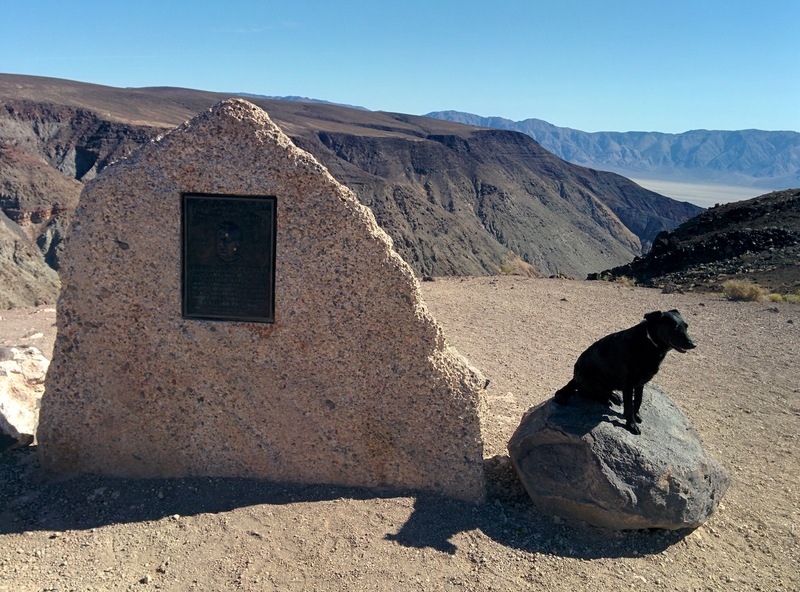 Our first intro to the vastness which is Death Valley finished we bumped our way back up to the parking lot and got back on the road heading down towards Panamint Springs. Here’s a freebie LPT (Life Pro Tip): If you can help it and don’t actually need gas then bypass the station in Panamint Springs for any other station within Park boundaries. It is at least a dollar more per gallon than anywhere else in the Park and two dollars more than what is available outside the Park. So, as an example, $2.50 a gallon in Lone Pine, $3.50 in Furnace Creek and $4.50 in Panamint Springs. This goes for beer as well. A 6-pack that would normally be $10 outside the Park is $16. A $15 6-pack (yes there is such a creature) is a cool $20. So, to reiterate, stock up on your essentials outside of the Park if at all possible but if you must consume in the Park, do so at Furnace Creek or Stovepipe Wells or Anywhere else but Panamint Springs. Thanks..I would have thought Furnace Creek woulda’ been more costly….